The 2019 federal budget is an opportunity for Australia to lead by example, says Associate Professor David Byrne. Associate Professor David Byrne, Deputy Director of the Centre for Market Design, believes Australia can lead by example through sound emissions policy and, says if done correctly, it doesn’t have to increase our cost of living. See his comments on video here. “The world is warming at a rate we haven’t seen in human history, and if we don’t do something various parts of the world, especially those near sea level, will become uninhabitable,” says Associate Professor Byrne. Climate has always played a role in our economy, but, according to Associate Professor Byrne its effects are growing with the rate and intensity of natural disasters, such as fires, floods and cyclones, increasing. “There is so much uncertainty when it comes to climate change,” he says. “Natural disasters occur unexpectedly and can impact, for example, housing markets, agricultural markets, and financial markets. This means climate change creates real economic costs for Australians. For example, when the country’s banana crop was severely affected by floods in 2011, supply couldn’t meet demand and prices went up. You end up with $7 bananas. “Pollution is a major contributor to climate change and if we want to rein it in we need to put a price on man-made pollution. This means Australians will pay for the pollution they create from the vehicles they drive and products and services they consume. By pricing pollution, governments can provide households with financial incentives to find alternative (clean) options. Often referred to as carbon pricing, this is the method favoured by most economists worldwide to reduce global warming emissions. But according to Associate Professor Byrne it doesn’t have to pose an additional financial burden for families, which has been a source of continued political debate over climate policy. Investment in such technologies which allow us to create power in new ways will be vital in achieving these targets. 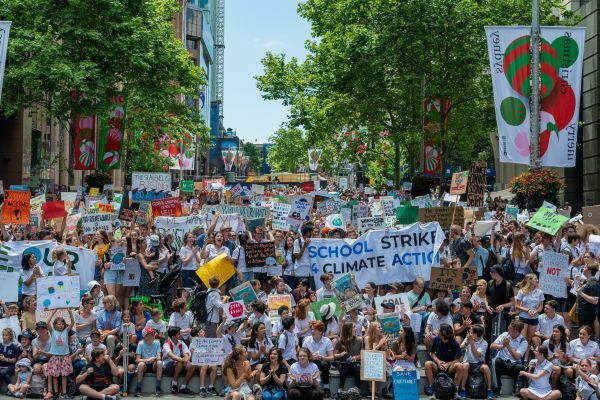 School students have been a driving force in bringing the global climate change conversation to our streets. As one savvy 12-year-old from Canberra says, “There is no planet B”. Australia has an opportunity to deliver for our students and everyone else. By neutrally pricing carbon in a way that does not increase households’ cost of living, while creating investment incentives in clean technologies that, in our lifetimes, can substantially reduce energy costs and save the planet from climate-related disasters. First published here on the Faculty of Business and Economics website.